North Korea on Monday warned the U.S. that it would pay a “due price” if the U.N. Security Council approved a Washington-led resolution for fresh sanctions, Reuters reported. “In case the U.S. eventually does rig up the illegal and unlawful ‘resolution’ on harsher sanctions, the DPRK shall make absolutely sure that the U.S. pays due price,” a spokesman for North Korea’s foreign ministry was quoted as saying by the country’s state-run KCNA news agency. 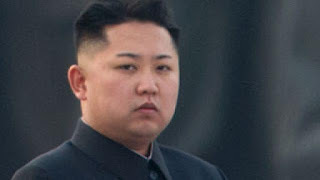 DPRK is an acronym for the country’s formal name, the Democratic People’s Republic of Korea. The tougher sanctions proposed by the U.S. and its allies would entail banning oil imports and exports of textiles, as well as employment of North Korean guest workers in other countries. The latest move by Washington comes in response to North Korea’s sixth and most powerful nuclear test on Sept. 3. South Korean officials have warned recently that Pyongyang could also be preparing to launch another intercontinental missile. KCNA reported that North Korean leader Kim Jong Un threw a banquet over the weekend in celebration of the most recent nuclear test, which the government claimed was of a hydrogen bomb.